Manchester United welcome West Ham United at the Old Trafford in a very crucial match on Sunday after an encouraging midweek's performance. 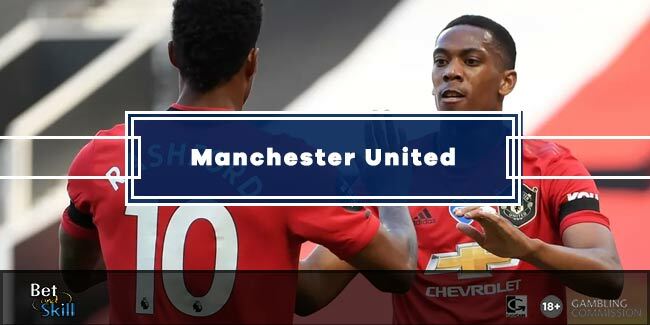 Don't miss our Manchester UTD v West Ham betting preview, with predictions, betting tips, starting lineups, team news, highest odds, bookie offers and no deposit free bets on Sunday's BPL matches! After a comfortable 4-0 win against Feyenoord in Europa League, Man UTD will look to replicate their dominating performance. The Red Devils were very impressive against Arsenal too, and should have been further in front when Olivier Giroud's 89th-minute equaliser secured a 1-1 draw. Their home form is largely encouraging - as they only lost against Manchester City so far, and they have won five of their last eight home matches in all competitions. They sit 6th in the Premier League, 9 points behind league leaders Chelsea. Zlatan Ibrahimovic will return to the side after last weekend's match through suspension. Henrikh Mkhitaryan has given Jose Mourinho a real headache after flourishing in midweek's game and the Armenia international could replace Marcus Rashford in the offensive midfield trio, alongside Paul Pogba and Juan Mata. Antonio Valencia and Phil Jones look fairly certain starters in defence, but Daley Blind and Luke Shaw could challenge Marcos Rojo and Matteo Darmian for starting spots elsewhere in the back four. Eric Bailly and Chris Smalling both remain on the sidelines. they conceded at least two goals in all five of those defeats. Only Hull City have conceded more goals than the Hammers this season. "Manchester UTD v West Ham predictions, betting tips, lineups and free bets (Premier League - 27.11.2016)"